The RCA Drawing Studio is now offering classes for non-RCA students. 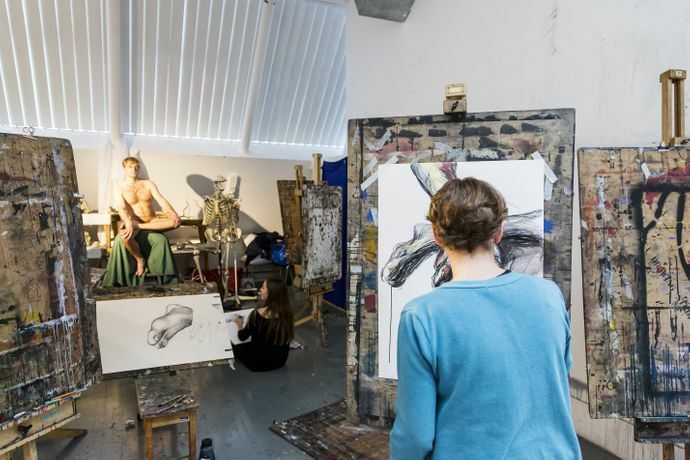 All drawing tutors are practising artists (painters, sculptors, graphic artists, anatomist) and offer differing approaches to life drawing – from a focus on observation to a more experimental, expressive and self-explorational approach. The course is open to artists, designers and enthusiasts seeking to improve their development as an artist as well as technical skills. Classes run on Fridays from 10am – 5pm during term time. Fees depend on the length of the term. The fee for a typical 12-week term is £660. This includes easels, drawing boards and basic drawing materials.